It's nearly a scientific certainty that the Toy Story movies are beloved by every living creature in this universe and probably most of the alternate ones. But, like most of the things we love, there are a lot of unanswered questions just beneath the surface that are far more sinister than we might have suspected. To start with, we need to develop a baseline for the rules that have been established regarding the toys. The most important is that the toys are functionally immortal. While they can be destroyed without much difficulty (on account of them being made primarily of plastic and fabric), toys will not die when left alone. For all intents and purposes, they do not need food, water, or air, nor are they prone to sickness or disease. It's even debatable whether they feel pain or not, much to the chagrin of young Sid-like psychopaths. But while toys cannot "die" in the classic sense, they can be repaired from almost certain death. Limbs can be stitched back on if torn off, and, even more unsettling, can be torn off one toy and attached to another. 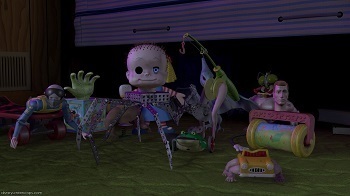 The toys in Sid's room are considered mutants, crazy experiments cobbled together from bits and pieces of various toys. Don't forget to become an organ donor! Each piece, once attached, is now part of the toy's new body. Stitch a chainsaw to a toy and it now has control over a chainsaw. Add a gun, and now guns DO kill people. Well, toy guns, at least. The one thing seemingly standing between us and certain destruction is that toys do not reveal themselves as alive to us humans. However, unlike the rules in Jim Henson's The Christmas Toy, the Toy Story universe's toys have no repercussions if they break the rules of never moving in front of humans, either accidentally or on purpose. Moving and conversing with animals is perfectly accepted, and during the end of the first Toy Story, Woody rallies all of Sid's toys to show themselves as very much alive. This means that the toys are bound not by a hard-and-fast rule but by the Honor Code, which is actually terrifying on multiple levels. However, before exploring why, we have to try to determine what, if anything, is giving the toys their sentience. Who Gives The Toys Souls? Though all toys seem to have one ever-consuming goal (be played with), they are varied in their wants, hopes, dreams, desires, fears, and so on. Clearly some toys show romantic attachment to other toys or even hope to be married someday. Other toys are selfish and cruel. Toys entertain themselves with numerous activities and hobbies when not trying to be played with. In some circumstances, the toys even want to better themselves by working out or augmenting their existing features (Buzz Lightyear does this in the first two Toy Story movies, first by running on a treadmill and then later by attempting to swipe a utility belt from a new Buzz Lightyear model in a toy store). He's jealous of the size of his laser gun. So if toys have personalities (for lack of a better term, "souls"), where are they coming from? Who or what breathes life into otherwise inanimate objects? 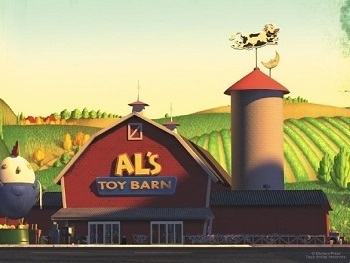 The most likely culprit would be children, as their love transforms the toys into something more, but that's debunked by the crew encountering toys still boxed away in Al's Toy Barn in Toy Story 2. The next best theory would be that the toy manufacturers are implanting souls into the toys upon their creation, but that also seems unlikely considering that every single toy, regardless of size, shape, or concept, has some level of sentience, even baby toys. If done intentionally, the process would likely be too cost-prohibitive for every single toy, and even stranger considering it's not an advertised feature. Plus, that would require ALL toy manufacturers to be in on this, and that seems unlikely. This does not look like the lair of a supervillain. For lack of a better explanation, it seems that all that's needed for toys to gain sentience is the intent of being a toy, whether they're purchased or not. But what if a child can't afford a toy and so creates one of her own by gluing Popsicle sticks together into the shape of a doll? Will that makeshift dolly gain sentience as well? Furthermore, if a child grabs a lump of tin foil, squeezes it into the shape of a goose, and plays with THAT as a toy, will the once-inanimate foil gain life? 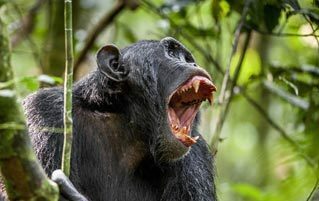 As we've established, toys require no food, water, or air, and they are able to interact directly with humans. So then why, exactly, haven't toys come forward and admitted that they could advance humans by light-years. Literal light-years, considering the one doing it could even be a Buzz Lightyear. 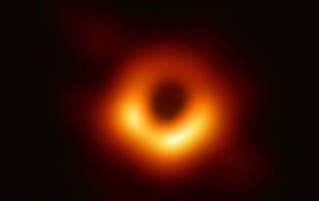 Just imagine NASA's reaction if Buzz Lightyear walked in and said, "I'm trained as an astronaut, require no food, water, air, or sleep, and I wish to chart the farthest reaches of the universe." "To Mars and beyond!" just doesn't have the same ring to it. Toys could even be designed explicitly with designated jobs or careers, which apparently gives them total knowledge of whatever they're based on. If space isn't your thing, what if someone created a microscopic doctor toy? Maybe Doctor Cancergnasher? You just take a few of those, inject them into a sick child, and sit back while the toy "plays" with the child. How many diseases could be utterly eradicated overnight by the simplest of things? What if we could fight wars with armies of unkillable green men? What If Toys Go Rogue All The Time? Let's consider Chucky for a second. While the movie Child's Play gives Chucky's origins as being a doll inhabited by a serial killer's soul, what if that's just a lie to cover the even more horrifying truth that any toy could decide to ignore its moral code and hack up a bunch of people? And not just the ones who need a loving authority figure in their lives. It's quite possible that every story ever told of a possessed doll stems from toys simply being alive and choosing to act out for one reason or another. Running the numbers, the probability of a toy having the personality type that would be predisposed to murder might not be huge, but they would absolutely exist, especially if toy manufacturers have no way to screen out the bad ones. But, then again, what if rogue toys were a result of the manufacturers to begin with? Is Making More Technologically Advanced Toys "Playing God"? Apologies, but we're about to dredge up Small Soldiers. We know it's terrible, but we HAVE to consider every option here. In that movie's plot, highly advanced microchips are inserted into action figures, giving them AI. Or, at least, that's what the toy designers THINK is happening. What if all those microchips do is somehow override the toys' natural instincts to stay still? The toy designers would have no way of knowing otherwise, as toys don't announce their living, thinking existence. How would a toy even react if it met a toy manufacturer? Would that be the equivalent of meeting God? Furthermore, there's the question again of what constitutes a toy to begin with. If the only requirement is that a child intends to use it as a play thing, then are video games toys and therefore capable of thought and emotions? Like, say, as depicted in Wreck-It Ralph? A core element of that movie revolves around video game characters essentially acting as they choose, even leaving their own games and hijacking others. "Going Turbo," as they'd say. Take this a step further: What if some video game characters "Go Turbo" on the level of Chucky? The only thing keeping the video game toys from harming humans is their inability to transition into the real world. Thankfully, no one ever started trying to blend the real world and the video game worlds together into some sort of crazy Matrix-like reality. Was The Matrix The Final Evolutionary Step After Tron? Oh crap! Someone DID eventually make it possible for humans to enter video games! That happens in Tron and Tron Legacy (aka Daft Punk Featuring A Tron Movie) where someone makes it possible for humans to enter a computer, and then it's eventually possible to pull a computer-created entity back into the real world. And they say that video games don't cause violence! 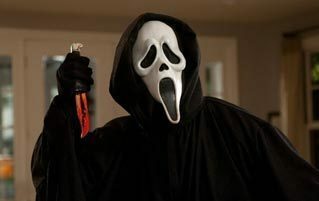 Although this movie probably did make you want to hit someone. Once video game "toys" begin exiting in droves or simply inserting themselves into robotic bodies, we have the possibility of the events as played out in The Matrix, where humans enslave and mistreat the robots, cause a huge war, and eventually get themselves mostly trapped in a video game. Horrifying to think about, but let's backtrack and consider a different angle. What Makes Something A Toy To Begin With? So the line between a toy and a non-toy is fairly subjective. The Toy Story universe has never really explained where that line is, but again it seems to come down to the needs of a child. If a child becomes attached to a traditionally non-toy, does it gain the life that toys have? Say, if a child has a weirdly close attachment to a toaster, lamp, radio, vacuum, or electric blanket? Yup, what if The Brave Little Toaster is just another story from the Toy Story universe with startling consequences? In that, all household appliances somehow also have emotions, personalities, hopes, dreams, and fears, even to the point of leaving their home and traveling great distances to find themselves once again with their beloved master. Now we have a new problem that results in ... Cars. Are The Cars Of Cars Just Toys Who've Won The War? It's not a stretch to say cars are treated like toys by some adults. People shower their cars with love and adoration, so at what point do cars suddenly acquire sentience and begin causing problems? Consider the Small Soldiers situation, where too many advanced microchips override a toy's natural instinct to stay still and that cars are getting loaded with more tech than ever these days. At what point do we inevitably have a scenario where all the cars take over the planet, creating a Utopian society for cars and cars alone? Probably at the point tow trucks start paragliding. Assume some toys "Go Turbo" on the side of good after all. They advance space travel, medicine, automation, and overall make life far too easy for humans. Everybody wins, right? Wrong! Now we have a new problem, that humans are functionally obsolete. If toys find satisfaction "playing" in ways without humans (working), what will humans need to do with their days? Well, some will plug into the Matrix and tune out, but eventually the Earth will become a poor place for humans to live, as it's now a land fit only for cars. So, with no options left, they head to space aboard the Axiom. No! Is WALL-E just a toy as well?! Of course he is! With the humans leaving Earth and the cars depleting the last natural resources (especially after the sun's been blotted out in a very foolish attempt to stop the toys in the 11th hour), someone's going to have to stick around to get the Earth back to a point where a generation of humans can eventually return and once more play with the remaining toys. It becomes pretty clear in WALL-E that the humans are in surprisingly good health despite being fat sacks of glob and that the only ones really able to function are the robots (toys). As WALL-E toils away on Earth, having a personality, emotions, hopes, dreams, and fears, the toys on the Axiom keep checking back in to see how things are progressing while also keeping their humans alive enough to rebound should the Great Playdate eventually come. Are we even sure that the Axiom's autopilot wasn't once referred to by a different name? A name such as ... Buzz? Who's The Real Crazy One Here? Maybe we'll get some more answers in Toy Story 4. Maybe, but not very likely. The Toy Story movies are centered around reminding you of significant life moments you yourself may have had with toys, but I'm an insane person who believed my toys were alive before the first Toy Story came out, so where's my movie? The one about the life moment where my toys told me the horrific truths of the universe?! That's ... a normal life event, right? Chris is a writer. He's written stuff in the past that you may have read, but he can't be sure. You play video games? He wrote for some of those, but not all of them. He also had a show on The Escapist. Oh, and he has a Twitter, but he can't be sure that you've read that either. Check out toys that we hope never come to life in 15 Unintentionally Perverted Toys For Children, and make sure you read 6 Beloved '80s Toys With Bizarrely Horrifying Origin Stories, because why should a child's life be any less horrifying than it already would have been? Subscribe to our YouTube channel to get even sadder about Toy Story in Why Andy Is Secretly The Villain In Toy Story, and watch other videos you won't see on the site! Also follow us on Facebook, and give your toys some time to hang out and mingle.